FXOpen offers a forex no deposit bonus of $25 upon opening a standard account, plus an additional $100 after trading a minimum of 10 Standard Lots. They also offer something nice for forex traders on a very tight budget, namely a $1 forex no deposit bonus upon opening a Micro Account. 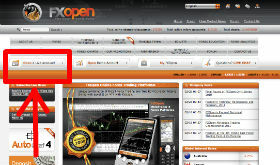 Open an account at FXOpen through ForexBonusFree.com, Register an FXopen eWallet. note: only the first opened Standard account you open gets the $25 no deposit bonus. The $25 no deposit bonus cannot be withdrawn or transferred. Profits can be withdrawn after having done at least 5 trades. The $100 extra forex deposit bonus will be paid after you have traded the equivalent of 10 Standard Lots. For instance, if you trade 1 mini lot, that will count 0.1 towards the total of 10 Standard Lots. The $100 extra forex bonus will be deposited in your account during the first week of the following month after you have traded the equivalent of 10 Standard Lots. There are no clearing requirements, the bonus is only meant to add trading money to your account. You create a Standard account at FXOpen and make a first deposit of $100. 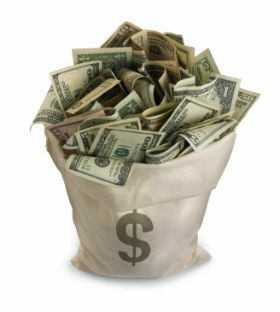 FXOpen will then credit your account with $25 bonus, depositing a total of $125 in your account. If you deposit $200, the bonus amount will remain the same, so that FXOpen will credit your account with a total of $225. FXOpen was founded in 2005 and is located in Mauritius. They offer a wide variety of currency pairs that can be traded, as well as precious metals such as gold and silver. Spreads are considered competitive, with spread on EUR/USD typically 2 pips. Maximum leverage is 500:1. Minimum pip value is 1 cent, which is offered through the micro accounts, where the minimum deposit is $1. FXOpen uses the MetaTrader 4 Platform (what is metatrader) as its trading platform, a major advantage, since this is considered one of the best independent trading platforms available and also supports numerous other forex brokers. It also supports the metatrader mobile platform for trading on your smartphone. One of the nice things about FXOpen is that they offer a lot of forex news and technical analysis and maintain a lively, if somewhat chaotic forum on their website. This makes it very easy for new traders at FXOpen to get help in learning the ropes of the trading platform and particular trading conditions at FXOpen. It also makes sure FXOpen stays on top of users' needs and complaints, making it a generally innovative broker. The FXOpen bonus is not particularly juicy or big, but in combination with the $100 extra you get after trading the equivalent of 10 Standard Lots, it's still a nice $125 ready for the taking.